We only use the most fresh ingredients with emphasis on ice cream innovations. Don’t take our word for it. Read the reviews on Yelp, and Facebook. A fun family ice cream experience. An amazing culinary delight. You’ll love the flavors! CLOSED for the WINTER 2017-18. The shop has moved out of the friendly market location. We will be looking for a new location in the next few months. It has been a tremendous pleasure serving so many wonderful people. We enjoy making award winning ice cream and look forward to what the future brings in Northern Kentucky. Opened September 1, 2013 in The Friendly Market, Florence, KY by Colonel Don Lambert. 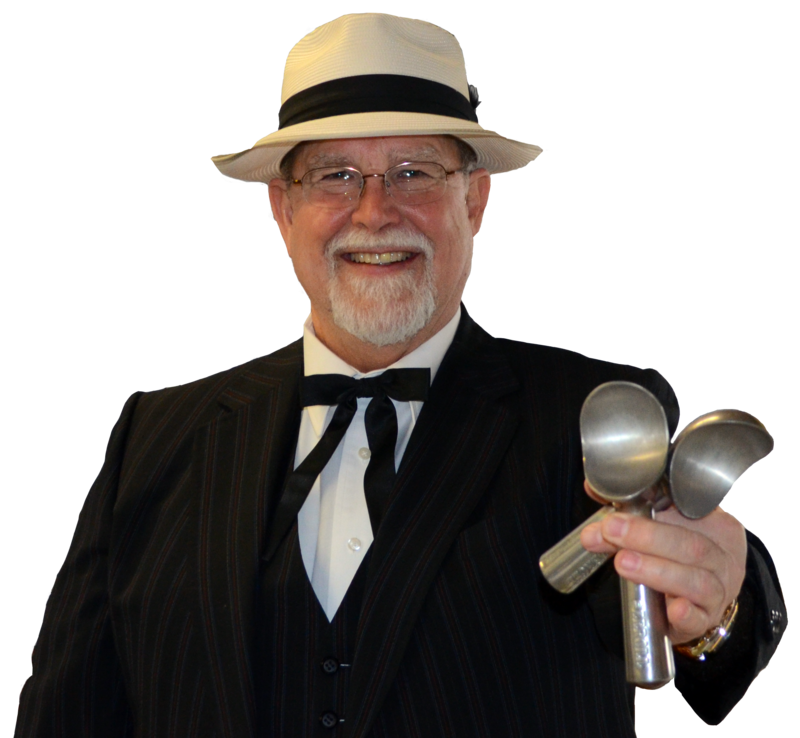 Col. Don has a lifelong passion and experience making ice cream. His first memory of ice cream making was around 6 years old cranking the old home ice and salt ice cream freezer. Today The Colonel’s Creamery makes super premium robust flavors of American ice cream. New innovative (sometimes exotic) flavors are introduced regularly along with excellent flavors you would expect. Come taste the All Star fun. Many say it is Cincinnati area’s best ice cream. Colonel Don is a 2012 Graduate of Northern Kentucky University with a BS degree in Marketing and Management. He served nearly 25 years in broadcast communications management including being General Manager of several Cincinnati and Northern Kentucky broadcast properties. He was commissioned a Kentucky Colonel for service to the Common Wealth while serving on the board of directors as an officer of nine local non-profit charitable organizations in 2001.